Should I Include a Resume Picture? Wondering whether you should use a resume photo? Learn how to include a resume picture and determine if it’s the right move for you. In today’s social media obsessed world, personal branding is no longer reserved for companies. Everyday people are taking their images into their own hands. A carefully chosen resume photo may be the latest step people are taking to further establish their personal brands. So, is a resume picture an asset that job seekers should include on their resumes? Or is it a job application faux pas that should be avoided at all costs? Regardless of which side of the issue you’re on, here are five questions you should ask yourself before putting your photo on your resume. 1. What’s the Job You’re Applying for? Unless you’re a model or actor, it’s highly unlikely that your appearance will influence hireability. Consider what job you’re applying for. Unless you’re going for an acting or modeling gig, your physical appearance won’t (and shouldn’t) figure heavily into your hireability. Simply put, adding a resume photo won’t help your employer better understand how you’d be suitable for the role. And since space on a resume is prime real estate, you’re better off just leaving it out. Want to add some color to your resume without using a photo? Our free, downloadable resume templates will give your resume a stylish flair. 2. What’s Customary in Your Country? While some employers expect applicants to include a resume photo, others won’t even look at your resume because a resume picture is seen as an unprofessional and potentially risky addition to your resume. One major reason why your employer might throw out your resume is to avoid being accused of discriminatory hiring practices. In some countries, discriminatory hiring is a crime enforceable by law. Violating employment discrimination laws in many countries is a serious matter with dire consequences. An example of this is with the anti-discrimination employment laws in the United States. Companies such as Abercrombie & Fitch and Wal-Mart have faced large fines and destroyed reputations thanks to discriminatory hiring practices. What does this mean for you? Long story short, you need to figure out if it’s generally acceptable to include a resume photo in your target job’s country. To give you a head start, we’ve included some countries that use resume pictures and some that do not below. Including a resume photo depends on where you’re job hunting. Regardless of what country your target job is located, you should make sure your resume looks clean and neat by adhering to established resume formatting practices. Take a look at our guidelines for the resume fonts, margins, and paper you should use. 3. What Impression Do You Want to Make? Are you aware that most HR managers give each resume only about a 6-second glance over before discarding it? Ask yourself: Do you really want the HR manager to spend those valuable six seconds distracted by your appearance? Instead, direct the HR manager’s focus towards your hard-earned work experience and accomplishments, and impress them with your abilities instead. Struggling to make your work experience come alive? Learn how to compose riveting work experience bullet points with our resume writing guide. 4. What Should a Resume Photo Look Like? 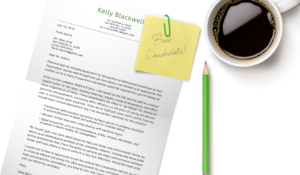 If you do decide to add a resume picture, make sure it gives the right impression! Generally speaking, any picture you include should be professionally-taken, and clearly shows what you look like. Use a front-facing portrait for your resume picture. Don’t use a selfie as your resume picture. After all, this will be the hiring manager’s first impression of you, so you don’t want to look unprofessional or unreliable. Using a selfie or otherwise unsuitable resume photo is sure to get your resume trashed before your experience and accomplishments even get the chance to floor the hiring manager. If the photo you want to put on your resume matches the “Do Use” criteria above, your resume picture may increase your chances at landing an interview. Nervous about the interview? Learn how to prepare for and ace the interview with our how-to guide. 5. Does It Really Matter? Employers can find your appearance online. In today’s technologically interconnected world, does it really matter whether or not you put your picture on your resume? After all, unless you have a super common name (or superior privacy settings on everything), your appearance will be a quick Google, social media, or LinkedIn search away. In short, the answer is yes – it does matter. If it’s common practice to keep resume pictures off your application documents, you should still stick to convention and exclude it. If your employer is intent on seeing what you look like (which they generally should not be), he or she could just search for your photo online. By playing it safe, you won’t accidentally come off as unprofessional or endanger your employer’s reputation by mistake. And if your impeccable work record doesn’t impress the hiring manager, you’re probably better off working somewhere else where you’d be better appreciated. Tired of traditional 9-5 jobs? Satisfy your wanderlust and get paid along the way through the unconventional world of travel jobs. Let’s say that you decide to keep the photo off your resume, but you’d like to make your picture easy for prospective employers to access in the event they want to do so. There are two key ways you can include your photo while you’re applying for jobs that are still professional, and will leave your employer with a positive impression. While you’re thinking about whether to include a resume picture, also consider whether you need to include your address on your resume or not. One way to skirt the rules of adding a photo directly to your resume is by paper-clipping your business card to your resume. Since some business card formats include a photo, attaching one to your resume is a great way to subtly factor your appearance into the hiring process. This method is especially effective after meeting a potential employer at a networking event. The picture on your business card will help them remember you, potentially giving you an edge to be called in for an interview. Your LinkedIn profile is a professional alternative to a resume picture. If a prospective employer is going to check your social media for clues on what you look like, why not provide them with links to the most professional of your online profiles? To do this, you can provide a link to your LinkedIn profile or online portfolio directly on your resume. Both are likely to feature a professional profile picture of you, and you since you created them with job hunting in mind, you might as well leverage them to your advantage. Plus, your LinkedIn profile and online portfolio will create much better impressions of you than other channels like your Facebook or Instagram accounts, which are more casual and might feature images of you that you’d rather your employer not see. The chic resume templates provided by ResumeGenius provide you the option to include these links. If you’re wondering whether or not including a resume picture is a smart move for you, there are many considerations to take into account. Ask yourself these five essential questions to help you decide whether putting your photo on your resume is right for you. Still confused on how to perfect your resume? Don’t forget to check out our easy-to-use resume builder or our professionally-written resume samples. Or, feel free to leave a comment below!